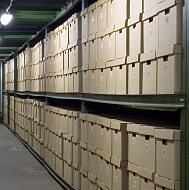 Our record management services will help you to ensure that your organization disposes and destroys records as soon as regulations and good business practices allow in order to reduce storage loads and protect against litigation. Your organization is going to be able to supply records relevant to an official inquiry without incurring substantial discovery costs or disrupting normal business functions. To learn more, please call use at (650) 474-0955.